Reasons why giving the gift of guitar lessons is one of the best gifts you can possibly give! 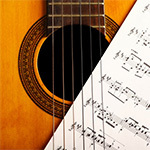 Gift vouchers for guitar lessons are a fantastic choice for many reasons. Gift vouchers are designed to provide choice, often in situations where we would be unsure of the recipient’s preference. Music and guitar enthusiasts make good recipients of gift vouchers. Anyone who has an enthusiasm for guitars and has expressed the desire to learn how to play or even to improve their exiting guitar skills would love a guitar lesson gift voucher. The gift recipient can select the style he or she loves! 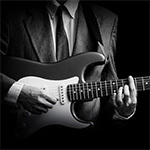 Most guitar teachers will specialise in a in a specific style. Whether its jazz, classic, rock or folk music. This limits the students a specific genre. At the London guitar Institute, a gift voucher will still entitle the recipient to have lessons in the music genre of their choice. There is nothing more exciting that being able to learn in a new instrument and learn to play the music that you love! The gift recipient can receive a voucher that suits them in terms of lesson duration! At London Guitar Institute lessons can be taken in time frames consisting of 30, 45 and 60 minutes according to the needs of the student. Not only is the tuition flexible in terms of length of the lesson but also in terms of the frequency. With a specified number of lessons per voucher, the gift recipient can then redeem the lessons when it suits best. Once the voucher has been used the student can then establish their needs and book an ongoing guitar course to match their requirements. Vouchers cover lesson types which will expose the student to different learning experiences. The student may prefer to learn as part of a group which enables the student to share their learning experience and learn quickly. Group sessions contribute substantially to overcoming weaknesses as the support of other students that may be stronger in some areas and weaker in others are in a position to share their resources and methods, enhanced by the expert tuition that the group receives. Additionally, one to one lessons are perfect for the student that is unsure about where they want to direct their tuition. Vouchers are ideal for exploring the different styles, lesson types and teaching methods across several lessons. Once the student has used up their vouchers they will be able to make a decision regarding which style they prefer to focus on and how frequently they want a lesson. This will also enable the student to estimate how long it will take for them to reach their learning goals. There are times that a virtual lesson would be appropriate, and the availability of virtual lessons provided through Skype can be discussed. These lessons are ideal for students that travel for work or other commitments but wish to main a routine of regular lessons. One of the core reasons why gift vouchers for guitar lessons make an ideal gift whether over the festive season or for birthdays or other occasions, is that they are ideal for almost anyone. Everyone has a genre of music that they enjoy. 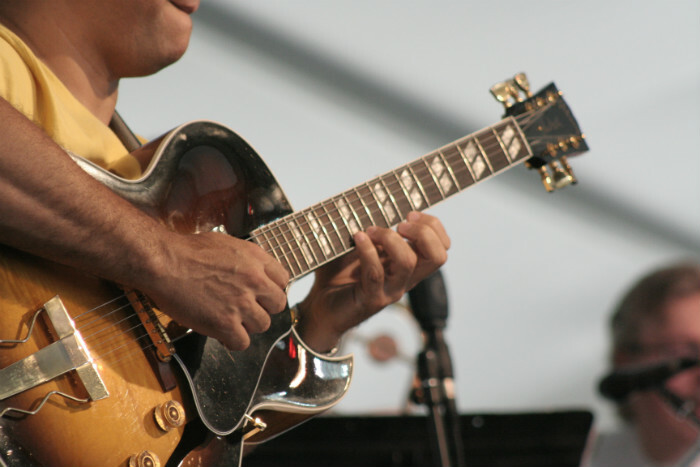 Many of us are armchair rock stars and keep the desire to play a musical instrument closeted. There are very few people that would pass the opportunity to learn even a little about their favourite music and instrument. Gift vouchers are perfect whether it’s a gift for a husband, wife, adult child, grandparent distant relative or good friend. It is an excellent accessory gift to giving a brand new guitar! A gift voucher for guitar lessons is the perfect gift accessory for someone that is receiving a brand new guitar as a gift! Together with a guitar case, possibly even some literature to accompany the gift, the voucher will enhance the gift by far. When a guitar enthusiast is learning to play the guitar from scratch, lessons mean that they will be able to apply the skills that they develop early on. A gift voucher also provides access to learning or relearning already established skills and the London Guitar Institute has a unique teaching method that encompasses the needs of the student rather using a stifling one size fits all approach. You are giving the gift of music and that is simply awesome! When you present a friend or relative with a gift voucher for guitar lessons you are providing them with access to a new skill. Many a successful musician started off their career with a few lessons after they discovered the joy of a guitar in a second hand store. Skills surrounding music, once developed can become a source of income. Whether the student chooses to perform at small gigs in a pub, club or private parties, or alternatively to eventually become a teacher themselves. The gift voucher is the starting point. The gift voucher is essentially the door to a new skill that is opened wide for the user. A gift voucher that offers multiple locations is ideal. 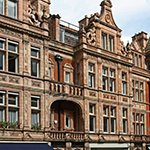 The London Guitar Institute offers lessons in the City and Mayfair! The London Guitar Institute offers two locations in central London and also online Skype guitar lessons, either as a part of ongoing tuition or as regular lessons with an agreed frequency. While a single location may be preferred being able to access lessons at multiple locations means that a student with flexible needs will be value the opportunity to have lessons where they are most convenient to them. There are many gift voucher options to choose from! Because the vouchers themselves come in different denominations, the person providing the gift has a diverse choice of the type of voucher they are giving. A family or group of friends may choose to give multiple gift vouchers that will provide multiple opportunities to discover the different options available in the lesson plans and the learning environment. With the collaboration of family and friends a student can receive multiple vouchers that will carry them through lessons for several months. An excellent way to provide musical tuition opportunities for someone that otherwise could not afford them. Find your perfect guitar course gift voucher on our website now! You can purchase a guitar lesson gift voucher without delay from our website. Once you have selected the voucher that you want, we will then prepare a special voucher for you with a personal message of your choice. You should receive the voucher within 2-3 working days from purchasing. If it is urgent, please do let us know and we can arrange the voucher to be send by courier. Redeeming is a piece of cake. Once the recipient is ready, he or she can simply contact us at enrol@londonguitarinstitute.co.uk to arrange their course directly. Giving the gift of playing the guitar is simply one of the best gifts that you can give!